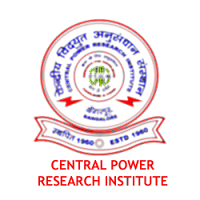 Central Power Research Institute was established by the Government of India in 1960 with headquarters in Bangalore. The Institute was re-organized into an autonomous Society in the year 1978 under the aegis of the Ministry of Power, Government of India. Applicants who have Completed BE/ B Tech or equivalent from a recognized Institute for CPRI Recruitment 2019. Eligible & Interested candidates can Download Notification From Official website page at www.cpri.in CPRI Recruitment 2019.